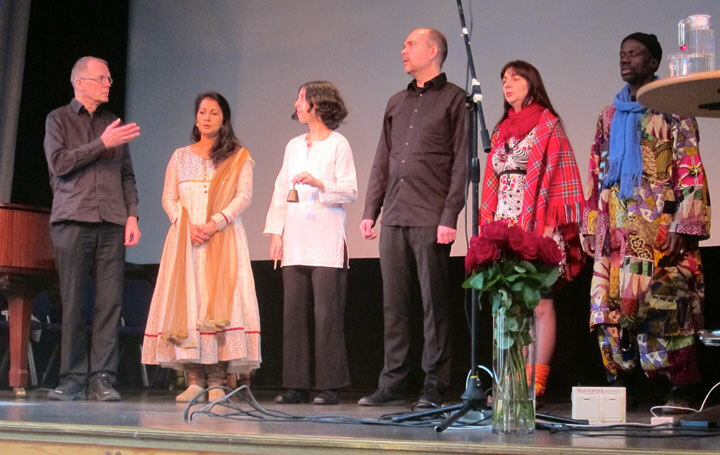 A cultural programme focusing on the 100th anniversary of Rabindranath Tagore’s Nobel Prize was held in Stockholm on Saturday 29 March 2014. The programme was organised by Arbetarnas Bildningsförbund (ABF) in collaboration with the Vox Pacis Ensemble, and featured lectures by Swedish Tagore specialists Olavi Hemmilä and Per Olov Henricson, and vocal music by rabindrasangheet singer Bubu Munshi-Eklund from Lund, besides Shipra Nandy, Marie Kvernmo, Loten Namling and other members of Vox Pacis, led by its artistic director Gunilla Nordlund. 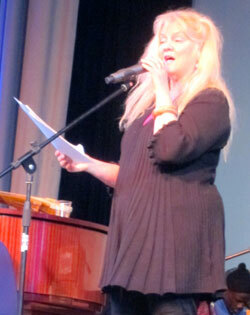 The event was moderated by Hema Lehocky. 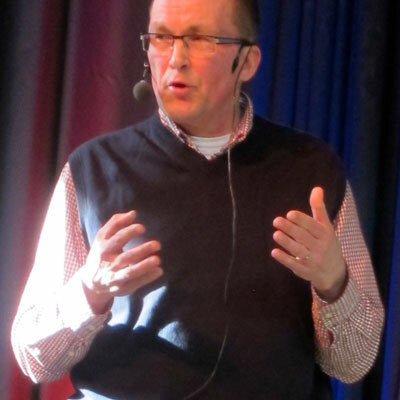 See the programme (in Swedish). 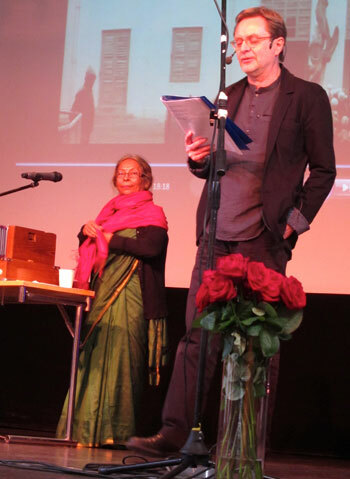 In their joint programme, Per Olov Henricson presented Tagore’s poetry in his own Swedish translations, whereas Bubu sang a number of beautiful songs in Bengali (photo to the right). 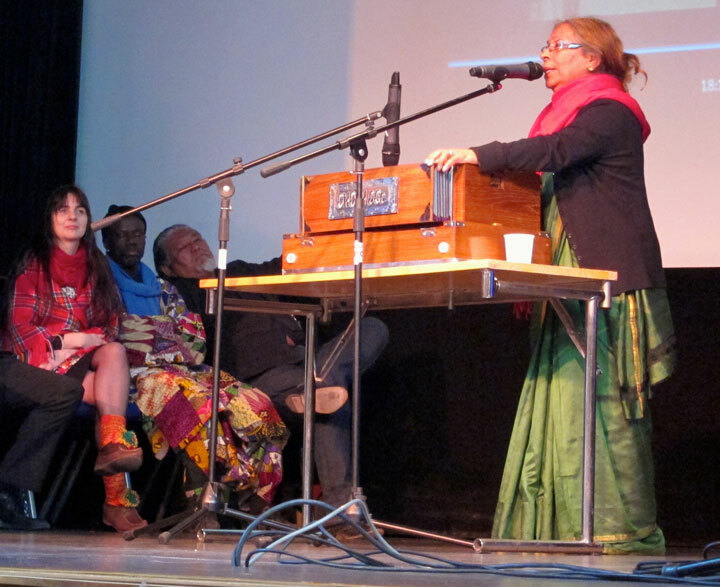 Vox Pacis also sang Tagore songs, in Bengali, Hebrew, Tibetan, Swedish and Sami languages, and Gunilla Nordlund (photo to the left) informed about the group’s recent tour to Kolkata and West Bengal, where they gave a number of concerts including one at the Viswa Bharati University campus in Shantiniketan. 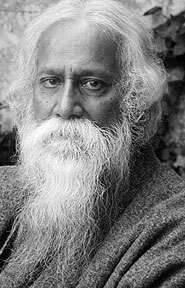 Olavi Hemmilä also talked about Tagore’s poetry, and the influence he had in Europe after his Nobel Prize award in 1913. 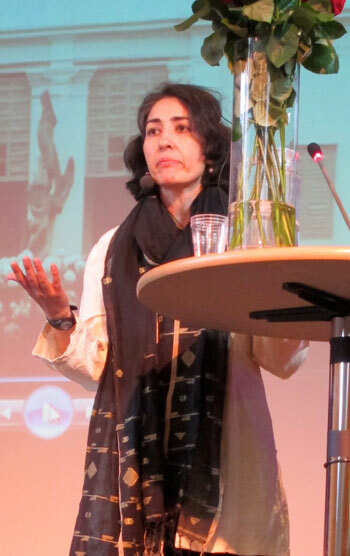 Gunnel Emia Eriksdotter, who has written a book on how Tagore’s poetry has been important for her since an early age, also participated in the seminar, and a discussion between the participants concluded the programme.